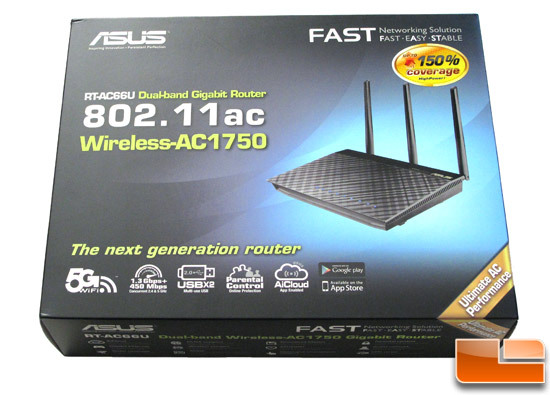 Today we take a look the ASUS flagship 802.11ac Dual-Band Wireless-AC1750 Gigabit Router. Wireless AC technology has been on the market for almost a year so it is pretty mainstream and can be found in computers, mobile devices, and of course routers. We have looked at AC routers from Netgear, Buffalo, and Cisco in the past where we saw tremendous increases in wireless speeds. Most of the time, the firmware and GUI’s of these routers mirrored the non-AC routers from that particular manufacturer so those who are upgrading don’t really have a steep learning curve at all. On first look, the ASUS AC1750 Gigabit Router looks exactly like ASUS’s Dual-Band 802.11n RT-N66U router which reviewed a few months ago. The only difference is that the identification label showing the model number. The RT-N66U has silver lettering while the AC66U is in gold. The comparison to the wireless-n RT-N66U is not a bad comparison to be honest. We found it to be one of the fastest Wireless-N routers on the market with GUI that was logical and precise. If the AC1750 RT-AC66U performs like its little brother, this could be the router of choice for anyone looking to step up to gigabit Wi-Fi speeds. 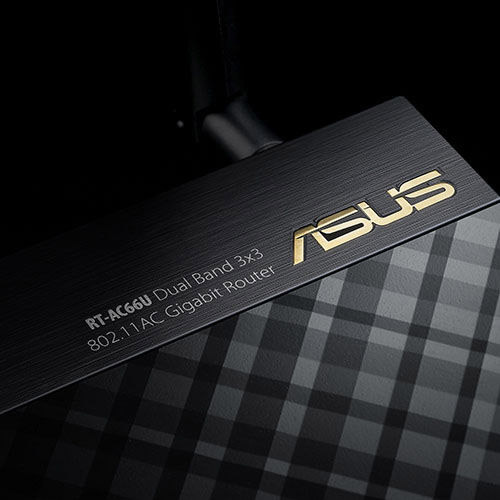 The RT-AC66U is designed around a 600 MHz Broadcom BCM4706 which is the same power plant used in the ASUS RT-N66U wireless-N router. 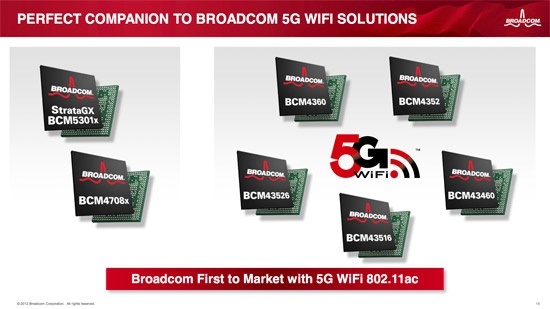 The engineers at Broadcom designed the BCM processor with a 600 MHz MIPS32 784k superscalar CPU that supports high-speed DDR2 and PCIe. While it contains a USB controller to connect it to external devices, it is only USB2.0 port. All of this internal power is designed to deliver dual-band wireless capabilities over 2.4GHz and 5GHz while providing Gigabit Ethernet performance. ASUS also includes their ASUS AiClout service with this router which provides a user with remote access, sharing, and syncing with no extra apps or services that you need to purchase. 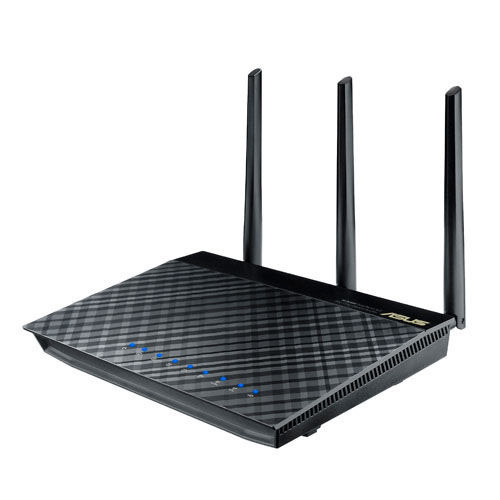 The RT-AC55U (like it’s little brother) also features something called AiRadar which optimizes wireless performance and coverage with the router’s detachable high-powered antennas. network, but your entertainment network as well. With features like AiCloud , AiRadar, and two multi-functional USB ports, this router is all about remote performance and file sharing.